South Korea has replaced China to become the country with the most visitors to Vietnam this month, according to the General Statistics Office of Vietnam (GSO). Vietnam’s international arrivals in the first month of 2019 were estimated to top 1.5 million, up 9.3 percent from the previous month and five percent from the same period last year. Tourist numbers from Vietnam’s key markets including Thailand, Japan and the U.S. all rose from the same period of 2018, with respective year-on-year increases of 39.7 percent, 11.3 percent and 11 percent. 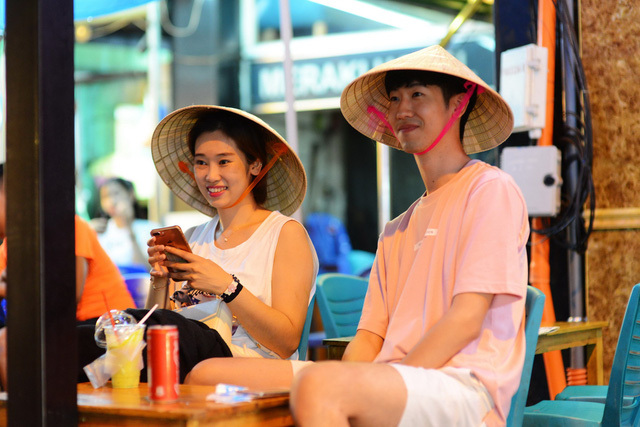 Remarkably, some 389,000 South Korean nationals visited Vietnam this month, up 23 percent from a year earlier, whereas Chinese arrivals dropped 10.7 percent year on year to 373,500, according to the GSO. In 2018 China was Vietnam's top tourist source with nearly five million arrivals, whereas South Korea came second with 3.5 million. In its “Why are so many South Korean tourists visiting Vietnam?” report published earlier this month, Hong Kong-based newspaper South China Morning Post (SCMP) listed some key reasons it believes lie behind the spike of the number of South Korean visitors to the Southeast Asian country. According to the report, South Korean travelers described the same surprising experience of the sheer number of South Korean signs, barbecue restaurants, beauty shops and coffee chains in major cities of Vietnam. As South Korean culture has begun to exert a broad influence on the Vietnamese urban environment, as in many Asian countries, the East Asian country’s retail brands, cafes and eateries has become popular in Vietnam and cater to local populations as well as the growing influx of South Korean visitor, according to SCMP. SCMP quoted Mark Gwyther, founder of MGT Management Consulting, a tourism consultancy in Ho Chi Minh City, as saying that South Korea’s economic support for Vietnam has also contributed to the warm bilateral relations. According to Gwyther, South Koreans are by far the largest foreign investors in Vietnam with over US$65 billion in registered capital in the country. It has thus become second nature for Vietnam’s hospitality industry to offer Korean-language options, while finding a taste of home is a piece of cake for South Korean tourists in the Southeast Asian country. There are many ways to catch a rat. In southern Vietnam, using dogs has become one of the most popular.